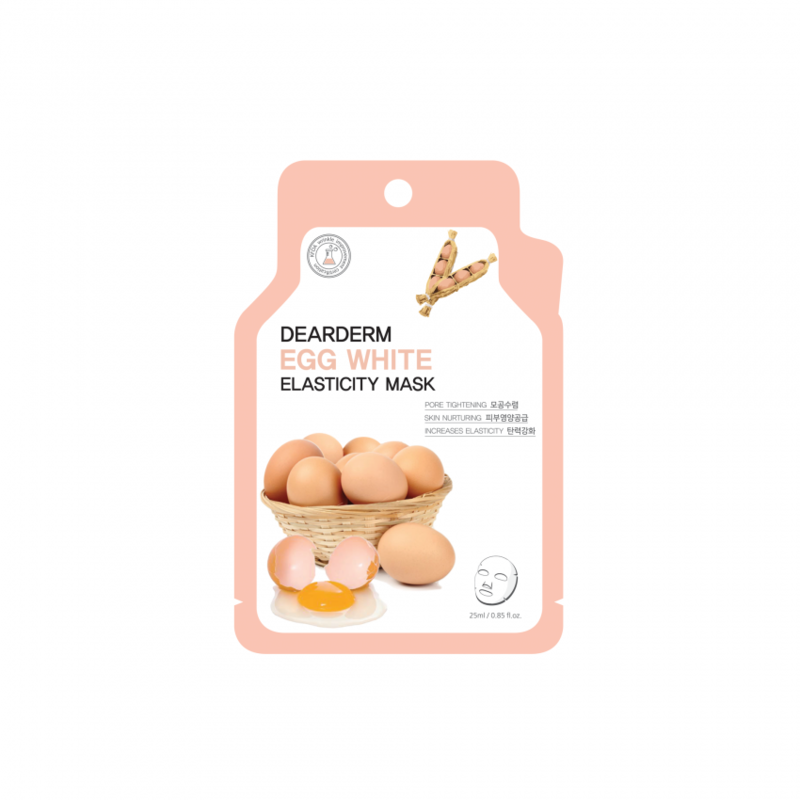 Dearderm Egg Elasticity Face Mask 25ml / 0.85fl.oz. 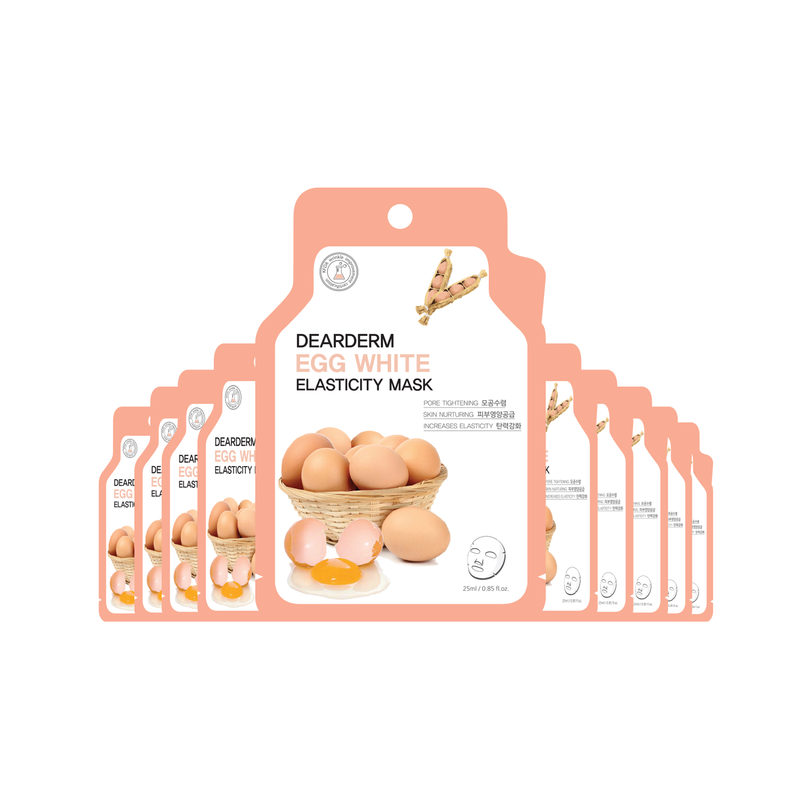 The Albumin component from the egg helps to calm the pores to create a firm and smooth skin. 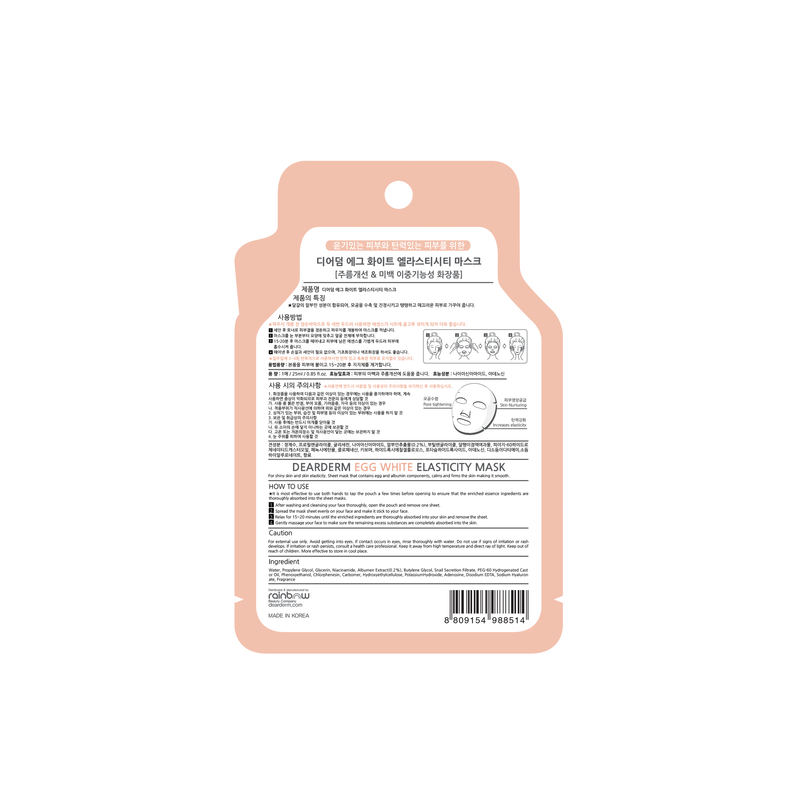 It is most effective to use both hands to tap the pouch a few times before opening to ensure that the enriched essence ingredients are thoroughly absorbed into the sheet masks. 1. After washing and cleansing your face thoroughly, opened the pouch and remove one sheet. 3. Relax for 15~20 minutes until the enriched ingredients are thoroughly absorbed into your skin and remove the sheet. 4. Softly massage your face to make sure the remaining excess substances are completely absorbed into the skin. Dearderm Pure Snail Firming & Repair Face Mask 25ml / 0.85 fl.oz. DESCRIPTION:The snail extract help creates a bright and elastic skin. 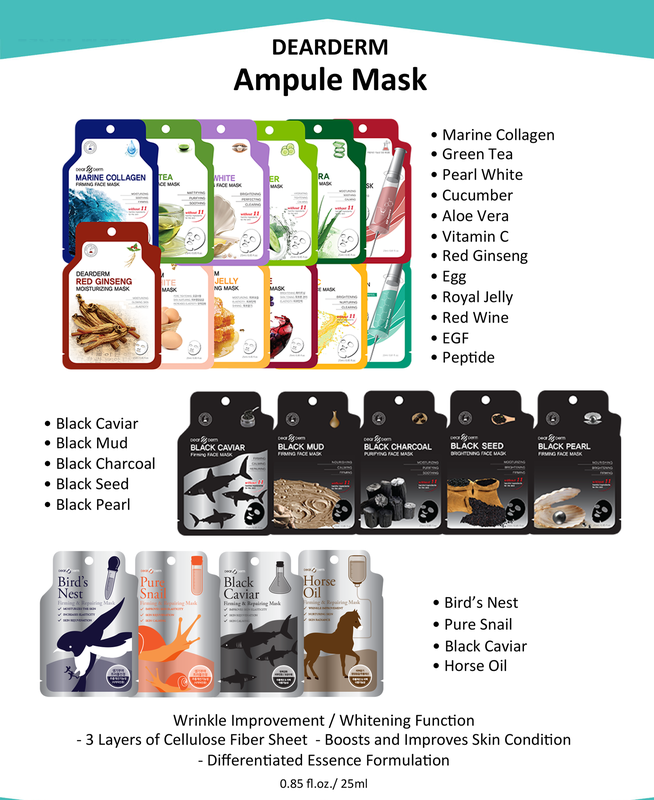 This is a sheet-type mask that..